One question I’ve gotten fairly frequently this summer has been about salt. More precisely, people are wondering how to substitute other types of salt for the pickling salt that most canning recipes call for. I’ve done some thinking and some testing in this area and have come to the conclusion that the best way to make this substitution is through weight. 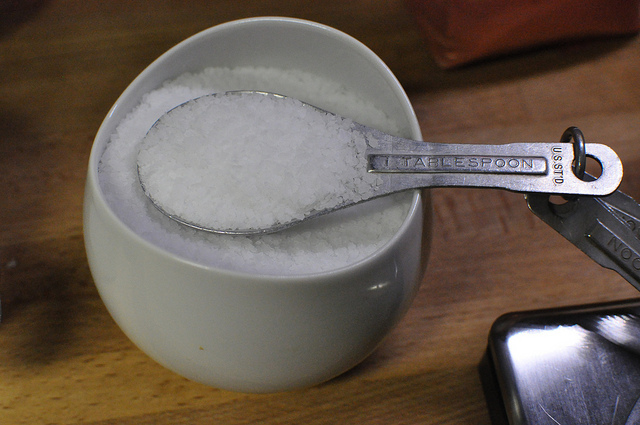 Last night, I pulled out every different variety of salt in my kitchen, carefully measured out a single tablespoon and took the weight of that tablespoon. The photo above is of standard pickling salt. It is finely milled (so that it dissolves quickly), has no additives to make it run free (most table salts do contain these flow enhancers) and a tablespoon weights precisely 3/4 of an ounce. However, if you live in more urban areas, pickling salt can be hard to find. A good substitute for pickling salt is kosher salt. It’s more widely available, isn’t particularly expensive and is also free of those additives that prevent clumping (thanks to a comment from salt expert Mark Bitterman, I’ve learned that kosher salt can also contain those anti-caking agents). 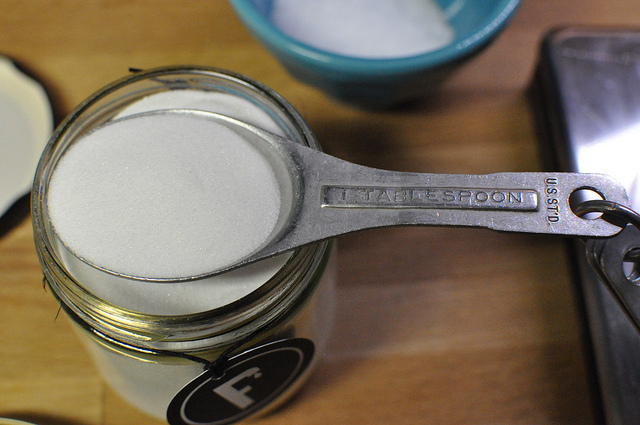 A level tablespoon weights 5/8 an ounce, which is pretty darn close to the pickling salt. The one thing to be aware of when using kosher salt for pickling is that it will take a bit longer to dissolve. Here’s my precious little jar of the grey velvet salt I got at The Filling Station in Chelsea Market last Friday. A level tablespoon of it weighs 1/2 an ounce. I included it in this salt weighing, but I’m actually far too fond of it to use it in pickling because it would get depleted too fast. But it would dissolve quite quickly, which makes it a good back-up, for those moments when I’m out of pickling salt. This salt is the multi-use sea salt from The Meadow (an amazing store in Portland, OR that specializes in salt, chocolate, flowers and other lovely things). 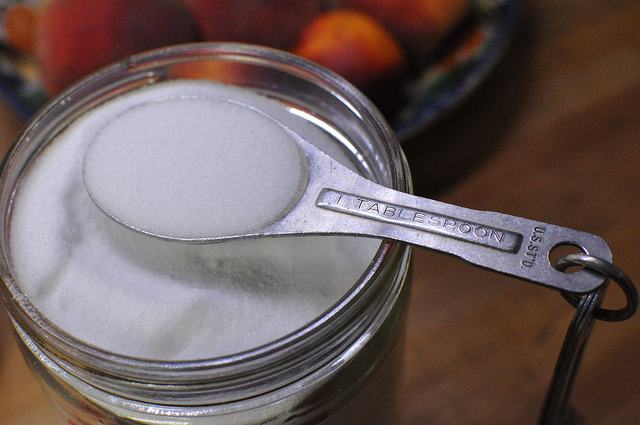 Sea salt has become a fairly common ingredient in kitchens in recent days, and as long as it is fairly refined, it makes a good salt for canning. One tablespoon weights 1/2 an ounce. The last salt I tested was the sel gris from The Meadow. This is a very chunky salt, which makes it not so desirable for canning, because it would be challenging to get it fully dissolved. A tablespoon weighed 3/8 an ounce. Now what does this all mean? Essentially, it means that though salts aren’t interchangeable by volume, you can weigh out 3/4 an ounce of just about any salt and substitute it for a tablespoon of pickling salt in a canning recipe. However, as I’ve noted above, you should also take into account the texture of the salt you’re using, as well as any additives that might be included in the salt. In the interest of disclosure, you should all know that the pictured salts from The Meadow were given to me as review samples. However, The Meadow has been one of my favorite spots for quite some time and I always make a point of stopping by the store when I visit Portland. I wanted to toss out some information on kosher salt, as it’s really a very common salt these days. Some kosher salts do indeed have anti-caking agents such as sodium ferrocyanide, sodium aluminosilicate, etc. The term “kosher” refers the the style of dry, fine crystals that make the salt suitable for koshering meat (absorbing its moisture) and not to any purity or absence of additives. 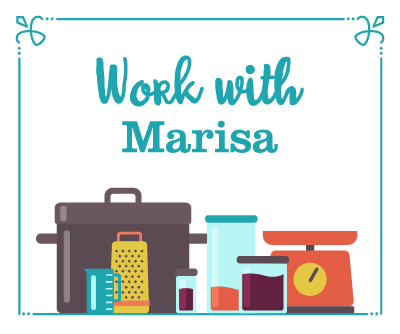 Great summary of salts for pickling Marisa, and of the importance of measuring your salt use by weight. And thank you for thinking of The Meadow! I personally love the subtle flavor complexity that unrefined salts can lend to some pickling recipes–though its mainly the VIBE you get from natural, high quality ingredients in general and salt in particular that inspires. We’re working on opening a new location of our shop this summer in New York, and we’ll have about 125 salts for you to choose from! Beware also that some sea salts (like Morton’s) have anti-caking agents added. I have a serious question, I used Morton iodized salt on canning tomatoes, do I have to throw out all that I canned? Nope. There is some increased risk of discoloration, but they’re not unsafe. Thanks for the tip. I did not know that about kosher. The Meadow sounds like a fun store. When are you coming to my neck of the woods here in Ohio? In my new experience with pickling, it is new info for me. I had no idea salt was different. Thanks so much…..M.D. Actually, Kosher means “fit to eat” as translated from Hebrew in reference to the laws handed down to the people by Moses and Abraham in the Jewish Torah. Nothing more. It may also be a good indication that most likely a Rabbi was present to bless the products that were being produced. Great info – thank you so much! Do you think pulsing the salt a few times in a food processor / grinder may help? I do this with sugar to get it to be a bit finer, the sugar definitely dissolves faster this way. I’ve ordered salts from The Meadows — they are great and I’m having a lot of fun experimenting. I particularly like the Maldon on steaks and have used the Turkish Black Pyramid in pasta – so good. It’s great fun to experiment w/salt. 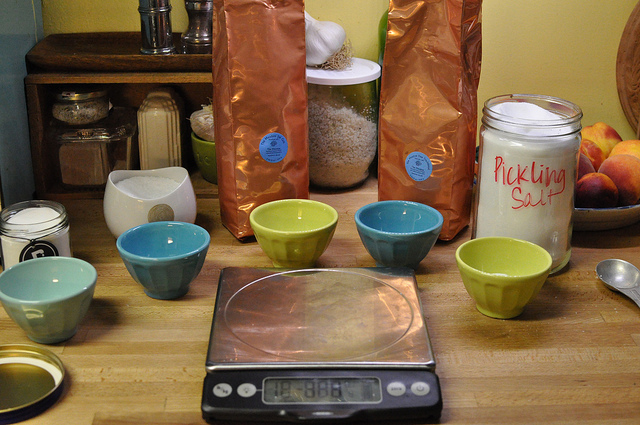 But w/pickling I try to keep it simple – pickling salt or kosher salt. I recently ran across this abotu kosher salt (my preferred salt really) and I thought you might like the info. I read this post the other day and stored it in the back of my brain. I am in the process of pickling jalapenos. For some unknown reason, I grabbed my sea salt, instead of my pickling salt, and added it to the jalapenos. I’m happy to know that they can be interchangeable and hope the weight is close enough. Thanks for being a wealth of knowledge. Oh my gosh, I have the exact. Same. Measuring spoons! They were my grandmother’s but I don’t think they’re all that old. I don’t think I’ve seen someone else with precisely the same ones, though! 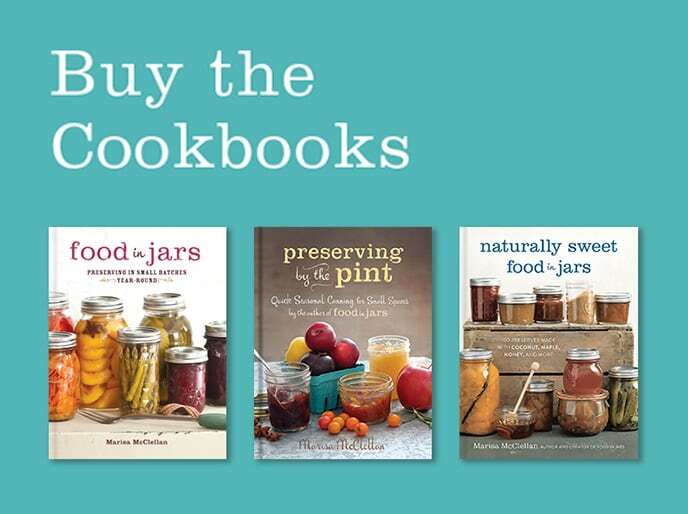 Your blog has totally inspired me to try canning, btw. I’m pretty sure my whole family will be getting pickles/jam/applesauce for Christmas! Add me to the list of people with the same spoons inherited from the grandmother. I also have my gram’s aluminum measuring cups that look like they’re from the same manufacturer. my mom too !!! 2 sets actually, 1 complete, the other with a couple of spoons missing. they could be 50 years old cause thats how long my folks been married! Me three! My Mom has them. She’s 83. Me four! They were my Mom’s and she would be 90. I thought I read somewhere that iodized salt can possibly discolor some pickled things? I had a scare earlier this month when the stores that usually carry pickling salt all ran out. Finally found some, and went on to can 116 quarts of dill pickles – the cucumbers did so well, and I got kinda carried away. I used your recipe and put dried hot peppers in for some heat. It’s gonna be a wonderful winter! I’m curious, too, about iodized salt. I understood that pickling salt is not iodized, and I thought it had something to do with how it worked with the brine, or the flavor in the pickles. Since I could buy it in 5-lb. 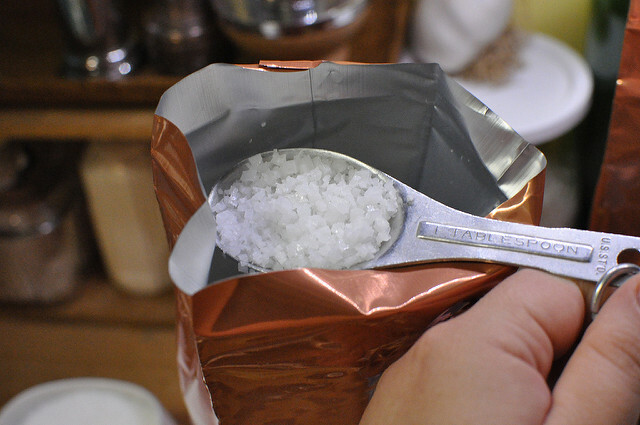 bags, which I found very convenient for the pantry, I used it for all my salt needs. In mid-life I developed a goiter, and suspect that the non-iodized salt was the reason (although, maybe not). Do you have any info on why pickling salt is not iodized? The iodide does change the flavor, if you have a discerning tongue. 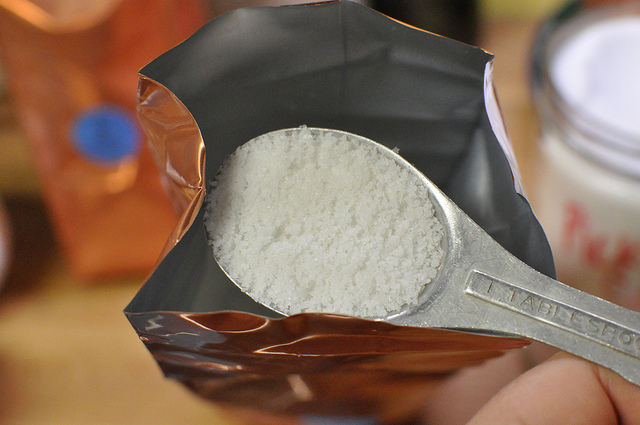 Some people even hate the taste of iodized salt for any use. Somewhere I heard that it has a risk of discoloring the food but I’m a bit doubtful on that one. As for whether you need iodized salt, probably not but if you’ve had a goiter it doesn’t hurt! Only table salt sold for home use is iodized, and iodized salt is never found in processed foods. The amount of iodide present in iodized salt accounts for only a small amount of what we need. Most Americans get nearly all of their iodide from food, particularly vegetables. That is not true at all, and a lot of vegetables actually interfere with iodine and thyroid function. Cabbage family vegetables especially. Look up “goitrogenic” (goiter causing) foods. 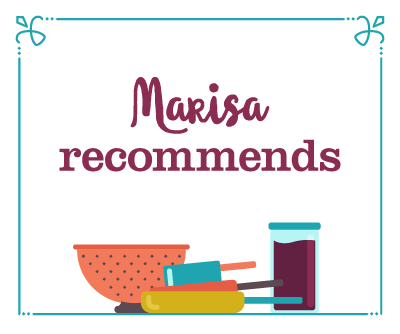 Thanks Mariisa, Great info on the salt. Most preserving recipes I have give weights of salt (even if it’s only 25 g) and now I know why. Fran’s Mom: I often use iodised salt too and haven’t noticed any difference in flavour in chutneys. I have heard it can darken pickles etc but I’m yet to get into pickling. I use iodised salt for similar reasons – to prevent thyroid deficiencies. Thanks to your inspiration I’ve started canning recently (had only done a couple of batches of jam previously, although I grew up in a canning/freezing household). I picked up The Big Book of Preserving the Harvest (http://amzn.to/du1v3x on Amazon) at my local organic food store. It provides detailed (but readable) information on the food safety issues as well as 150 recipes. Table salt: Filler in it will cause cloudiness, iodine can darken the foods. Sea salt: Possible mineral content can affect food color. Solar sea salt: For use in water purification systems, not food grade, will promote spoilage if you use it for curing meat. Dairy salt: For animals, not humans. I have a very old recipe for mustard pickles that calls for “bag salt”. I’m not sure I know exactly what that means… I hope it’s not the bag salt I’m familiar with, which is used to melt snow and ice on sidewalks, etc! I understand that pickling salt makes for a clearer brine, in pickling but all the mustard pickles I’ve ever had did come from a cloudy brine with quite a bit of sediment in the bottom of the jar. Does anyone know if there is more than one type of bag salt? Your measurements of various salts intrigued me, but I’m curious why a T of grey salt should weigh 1/2 an oz, while a T of kosher salt weighed in at 5/8 an oz. Shouldn’t a finer product be more dense (the grey salt) than the coarser product (kosher salt), and logically contain more NaCl in a given space? I should think the grey salt weighs more than the kosher. Otherwise, thank you for solving my problem with weight/volume in the canning salt versus kosher salt, which I won’t need to buy now. The grey salt I used for these measures was a fairly coarse product, moreso than the kosher salt. That’s probably led to these results. I am on a very low sodium diet (500 mg daily) for health reasons. I love dill pickles and wondered if you have any recipes for no sodium pickles of any kind. Any help would be greatly appreciated. Salt plays a vital role in drawing out the water from vegetables and making space for the vinegar to enter. However, you could make a pickle without salt, it just wouldn’t be as vinegar-y. I wouldn’t recommend that you can a salt-free pickle, though. You might not get enough acid penetration to ensure a safe pickle. Thanks for the info – going to have to check out The Meadow the next time I pass through Portland. Thanks for this fantastically informative and helpful post! I just fearlessly substituted sea salt for pickling salt in some carrot and watermelon radish pickles – can’t wait to see how they turn out. Thanks again! Love your site. You’re quite welcome, Alanna! So glad this post was useful! The Meadow has a location in New York, as well. It’s one of my favorite stores! I am able to buy, in bulk and incredibly cheap, additive free, fine grain sea salt from my grocery store (it is finer grain than table salt). 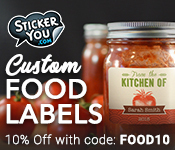 I have been using this in place of canning salt, which can be hard to find and expensive. So far, I haven’t noticed an issue with clouding. Thanks for this; I am going to go weigh it to make sure that it is comparable. In the event that it measures up a little less than 3/4 once per tablespoon, do I need to by worried that my okra pickles have been compromised? You don’t need to worry about your pickles. Even if you used a little less, there should still be enough salt in the brine to create a situation in which the water is drawn out of the vegetables, allowing the vinegar space to move in. I use a mortar and pestal to make my salt finer, but i still weigh it out. I’ll let you know in a bit if they are awesome! My grandma said the iodine in table salt would make her pickles soft instead of crisp, so i’venever tried it. Love that you’ve given a conversion by weight – So much easier for me to weigh out 3/4oz of what ever salt to equal 1Tbs! (Curing olives)…. Label on my MORTON Coarse Kosher Salt says ” . .Generally you can use Morton Coarse Kosher Salt in your favorite recipes as you would MORTON Table Salt and Canning and Pickling Salt. . teaspoon for teaspoon. For amounts greater than 1/4 cup, increase the amount of Kosher Salt by one tablespoon for each 1/4 cup of salt.” I guess I’ll do it the way the label says and see what happens! Just wondering if it is safe to can using sea salt? plan to try them with dill this year. Hello! I have a question about canning dill pickle spears. My mom and I have tried canning dill pickles the last two summers, but have had to throw most of them out 🙁 The problem is, is that they are too salty to eat. 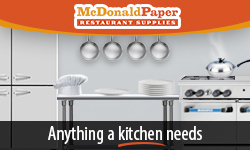 We’ve tried a couple of different recipes, but haven’t had any luck. We were wondering how vital the salt is to the preserving of the pickles, or if we could just cut back more of the salt in the recipe. If you have any suggestions (or recipe!) please let us know! We’ve tried using the seasoning packets for the pickles which has worked ok, but we’d really like to make them from scratch! Thanks in advance for any advice! 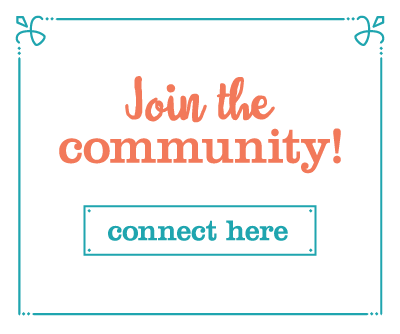 I love looking at your blog! You can reduce the salt by half. The salt helps draw the water out of the cucumbers so that the vinegar can penetrate. I couldn’t get canning salt in my little town when i needed it to make my dilly beans so a friend told me to get plain salt, and I used the same amount for my recipe 1/2 cup salt to 4 cups white vinegar 4 cups water and they came out saltier then before. 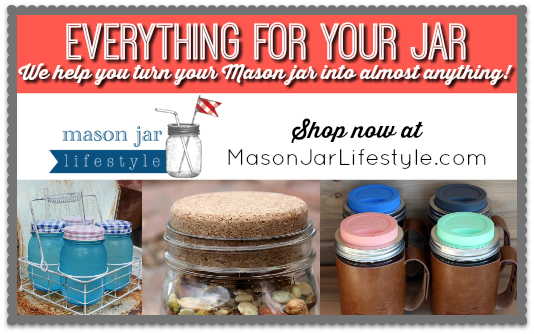 Is there a difference in the amount you use when your using a different salt other then canning salt? I am a heart failure patient. Can I use my NoSalt for canning? Unfortunately not. It’s better that you stay away from salty recipes. The salt is chemically necessary for pickles to become flavorful. I’m on a salt free diet but assume I cannot substitute potassium chloride salt free substitute 4 sodium chloride salt. I imagine the little amount of salt I would get in each serving would not be significant. Salt plays a vital role in pickling. You can omit in other places, but it’s pretty important in most pickles, as it helps make the cell walls more permeable and allows the vinegar to penetrate the vegetables. I don’t believe that salt substitutes have a similar effect.